The staff wanted to wish all of you Happy Holidays! We also want to thank you for your patronage since our opening in April. 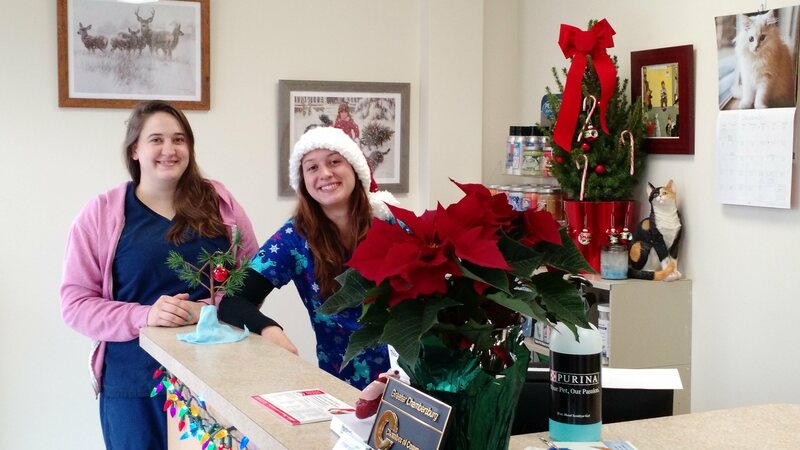 We will continue to serve the community and their pets with the same Compassionate and Consistent Care that many of you have relied on over the last 8 months in 2016. We will be closing at 1200 pm on December 24, 2015 and will reopen on Monday December 28, 2015 at 8 am. WOW! How time has gone by so quickly since opening in April. Many things have been happening at the STVC. 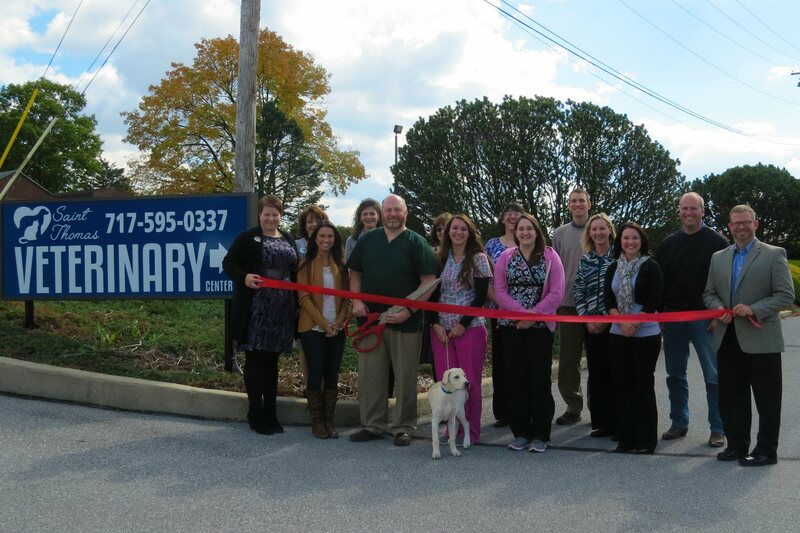 We had a ribbon cutting ceremony. On Saturday March 20th, family and friends assisted Dr. Runk in moving his equipment and supplies into the new office. There are many boxes that need to be unpacked and organized before opening day. The official opening day is on April 6, 2015. The office phone number is (717)595-0337. If anyone would like to make an appointment for the week of April 6th, please call the office phone, leave a message with your name and phone number. Beginning March 30th, a staff member will call you back to schedule an appointment with you. 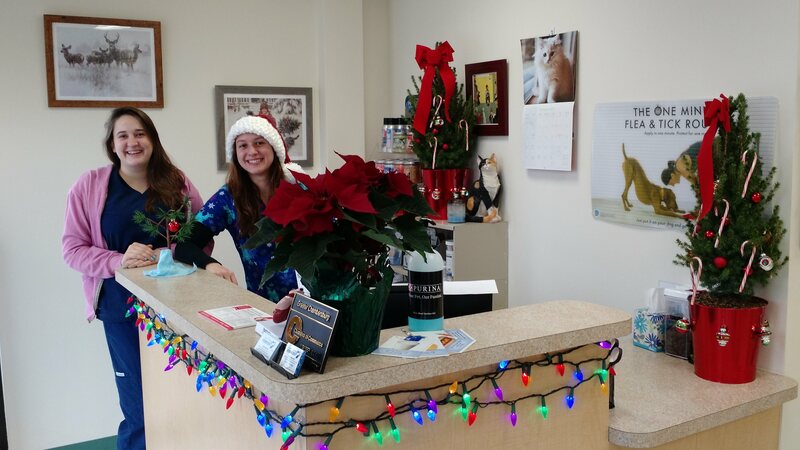 With construction coming to a close, the office will soon be open to provide quality care to your pets. 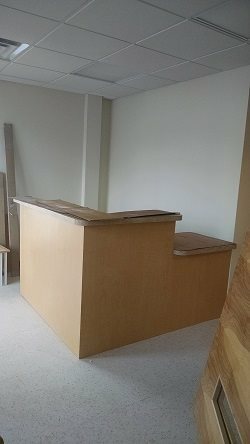 Check out some of the updated pictures. What a difference a week can make! Work is coming along at the Saint Thomas Veterinary Center. Studs are up and electric is being run. Framing is almost complete. Drywall will likely be starting on Friday or early next week. Keep watching here for more updates. 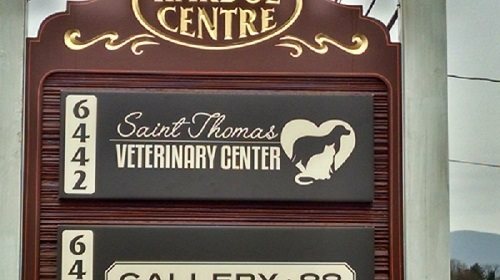 Construction has started at Saint Thomas Veterinary Center. Demolition is almost complete and then the rebuild starts. We hope to be open sometime in mid-March to start serving you and your pets. Please like us on Facebook and follow us on Twitter. We will post updates from time to time on all three sites.